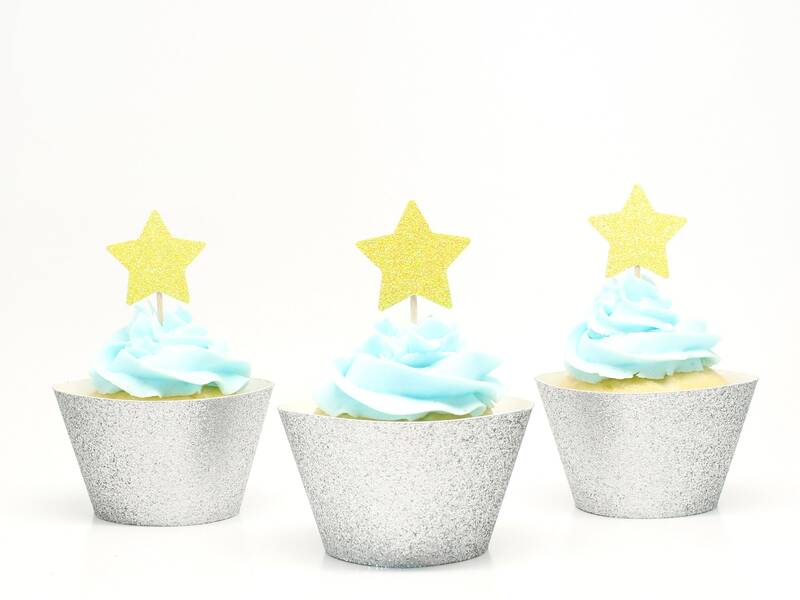 Star Cupcake Toppers - Glitter. First Birthday. Bachelorette Party. 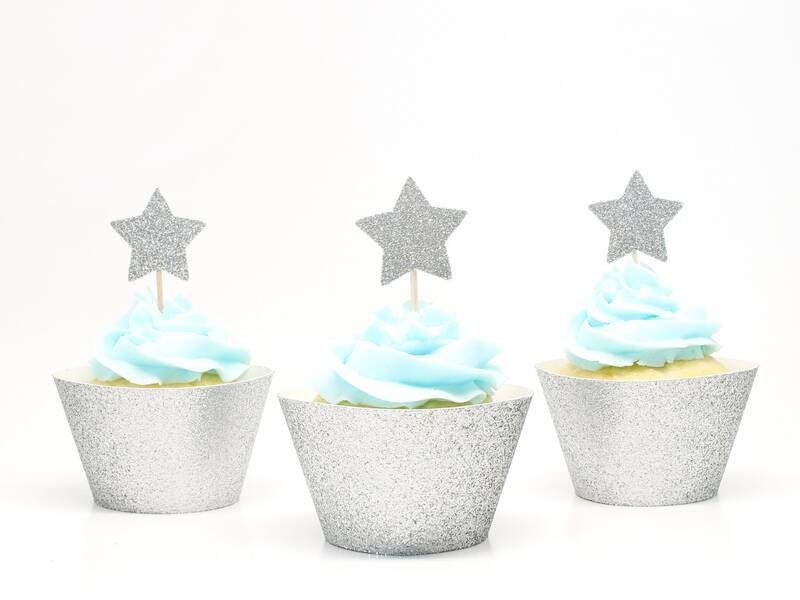 Donut Toppers. 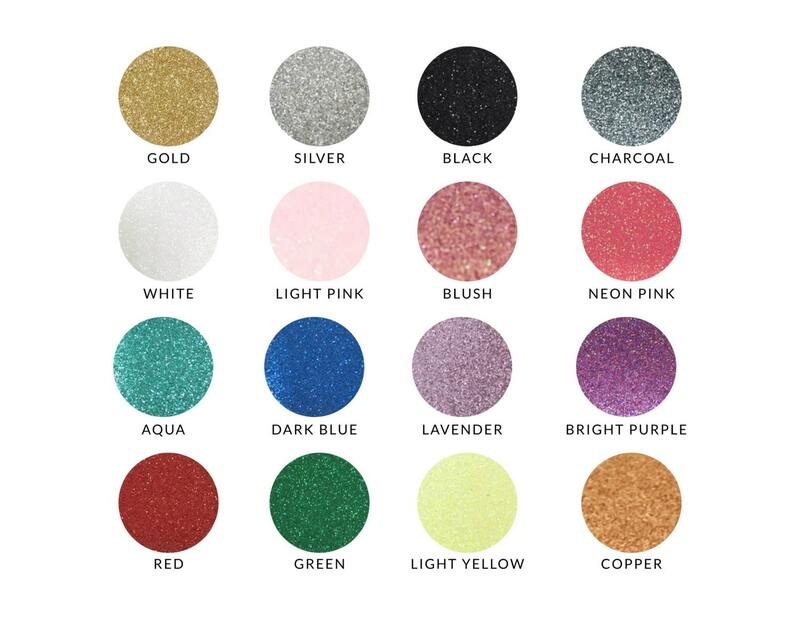 Cupcake Picks. First Birthday. Bridal Shower. 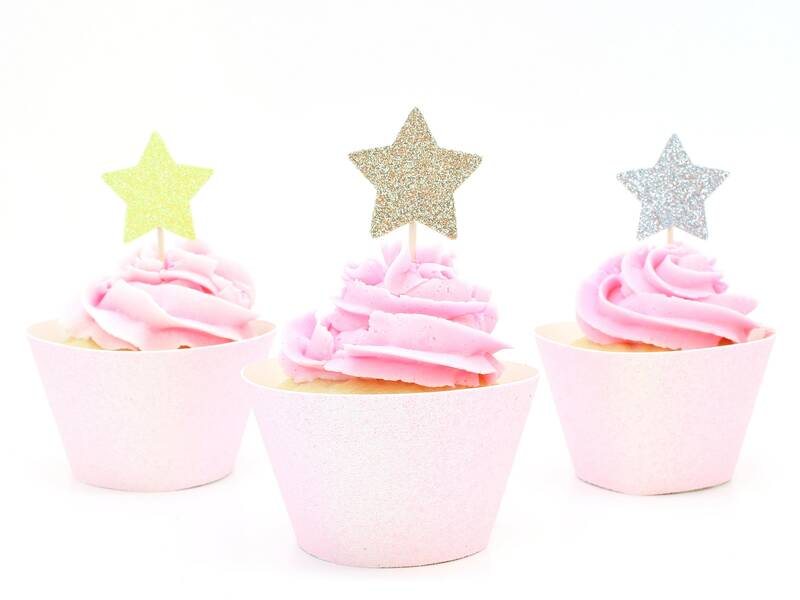 These sparkly glitter star cupcake toppers are perfect for weddings, baby showers, bridal showers, birthdays, or as decoration for any party! Great product. 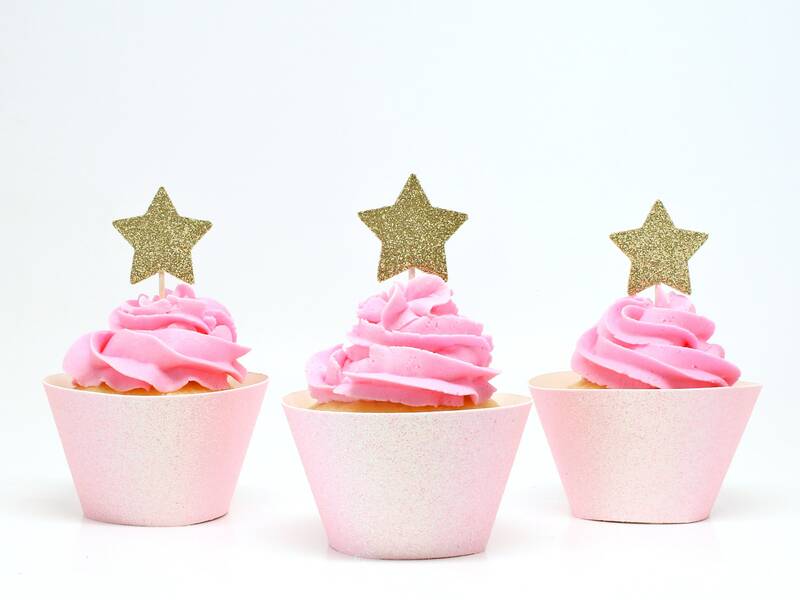 Made very cute cupcakes! Fast shipping, too.